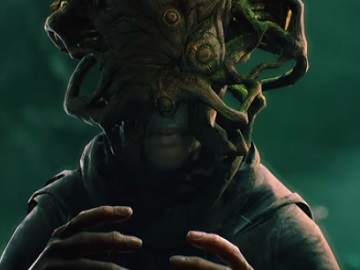 Xbox has released a preview to Madness Trailer for Call of Cthulhu, the official video game adaptation of Chaosium’s tabletop RPG, slated for release in under two weeks, on October 30 for Xbox One. According to the official synopsis, in Call of Cthulhu, “nothing is as it seems. Terrible creatures, conspiracies and cults await on Darkwater Island, lining the path to the horrifying truth behind the island.” Detective Pierce’s mind will suffer, it is also revealed, as his investigation across that place, “where death may appear the most favorable outcome,” will bring him “to brink of insanity”. The player’s senses will be challenged to the point of questioning whether everything and everyone is real or illusory. Creeping shadows hide lurking figures… and all the while, the Great Dreamer prepares for his awakening”. The Preview to Madness Trailer, with dramatic music providing the soundtrack, features some of the positive reviews made by critics, which praise the game’s distinctly “gorgeous and very Lovecraftian” and “amazing” atmosphere, the detective skill system, mesmerizing audio and visual design, as well as the RPG-investigation mechanics that allow players to discover clues, draw conclusions, question locals and survive the island’s cosmic horrors. “Not since Resident Evil 7 have I felt so gripped by the atmosphere,” God is a Geek stated in its review of the game. Call of Cthulhu releases for Xbox One on October 30. Digital and retail preorders are available now.